A handmade card by my friend Rocio. I have recently retired from a career I have loved. My first day teaching school was September 2, 1980 and my final day was June 30, 2017. A lot happened during those intervening 37 years. Teaching and learning, heartache and headaches, loving and laughing. 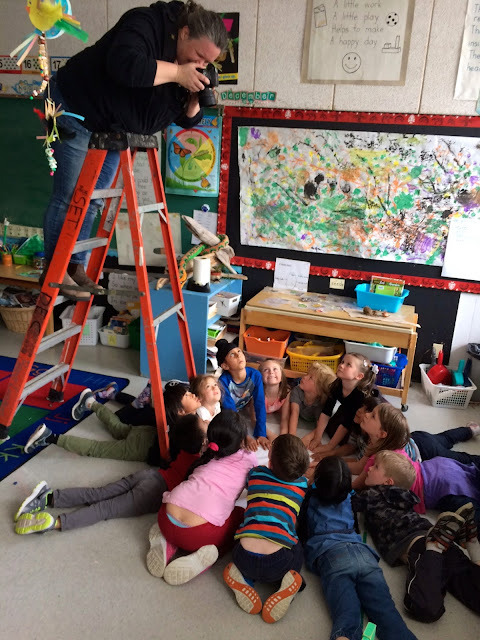 My first class at Lord Kelvin Elementary in New Westminster, B.C. 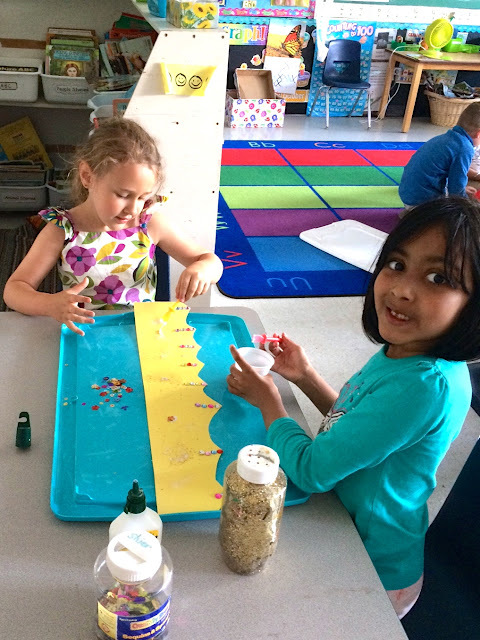 These kindergarten students are now a whopping 42 years old! Yesterday I hauled out two thick scrapbooks from my first years in the classroom. Oh my gosh! I was so young and so THIN! I was only 22 years old when I began my lifelong love affair with teaching. My Grade 3 classroom at Queen Elizabeth Elementary School in Queensborough, New Westminster. It all looks so old fashioned now. Those desks were made with asbestos! 1982. Life as a teacher was much simpler in the early '80s. Here I am taking a walk with my students down a rural road in Queensborough. No permission slips needed, no emergency backpack to lug around, no forms filled out in triplicate. I'd leave a note on my desk saying we'd gone out for some fresh air and would be back soon. Love letters from parents were always much appreciated. March, 1983. After teaching for three years in the small school district of New Westminster, I transferred to the much larger Surrey School District where I had a better chance of getting a continuing contract. I taught kindergarten in the original one room schoolhouse a couple of blocks from the ocean in Crescent Beach. September, 1983. This was cutting edge playground equipment in 1983! 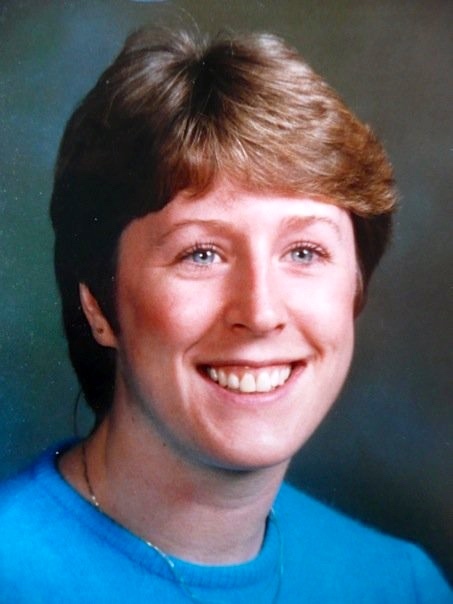 In June, 1987 I took a leave of absence from my teaching position in Surrey. Joe and I moved to Seattle for three years while Joe did a graduate degree at the University of Washington. Our two daughters were born. We moved back to Vancouver in 1990. Joe started working at ICBC. Our son was born. We bought our first home and moved to Squamish in 1993. I began teaching for the Sea-To-Sky School District in 1995. I taught at Brackendale Elementary, Squamish Elementary and Mamquam Elementary schools. During those 22 years I made lasting friendships with many of my colleagues and parents of my students. A year ago, I made the decision to retire in June 2017. After 37 years, I felt it was time to hang up the chalk brush. I had lots of energy during the school day, but little else left over for my husband, family and friends. Every evening found me asleep on my livingroom couch, mouth agape, at 7:00pm. I felt ready to live a life outside of a classroom. As my retirement date approached, I was spoiled rotten by my school district, colleagues, students and parents. There were dinners, speeches and weekend getaways. There were cards, messages and gifts. It has been an incredibly humbling experience. A card from a former student's grandmother. I heard from a former Grade One student whom I had taught in 2003. I just saw your post regarding that you have retired. I wanted to say thank you so much. I still think about you now being 20 years old. I wanted to let you know that out of 13 years of school you were that teacher that stuck with me, and that will always stick with me. Even at such a young age you believed in me and I absolutely love you for that. You pushed and encouraged me to be the young woman that I am today; 67 surgeries later I have finished school and I'm absolutely grateful you could be on my journey with me. Happy retirement, Nancy. I look forward to hearing from you. I bawled my eyes out after reading that note! My principal said some nice things about me at the school district's retirement function. One of the best friends I have made in Squamish and School District #48 is this gal right here. Shuna threw me a surprise retirement party with many of my former colleagues. A current colleague, Cindy, had a few teachers (along with our husbands) up to her cabin at Anderson Lake for a sleepover to celebrate my retirement. A fitting gift from Cindy. Retired teacher friends hosted a beautiful dinner party for me in Lions Bay. A card from one of the most respected teachers in our district. 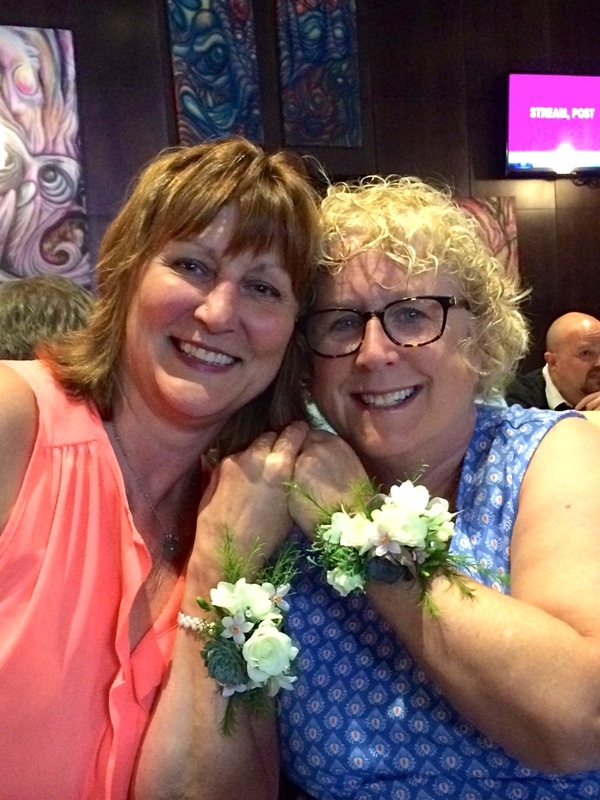 The Mamquam Parent Advisory Council threw a 'good-bye' burger-and-beer night at a local pub for the school secretary and I, complete with wrist corsages of course! My colleague Cindy, along with former parent Corrie, secretly collaborated with students to create a beautiful photograph that was framed and presented to me at the school's year end assembly. 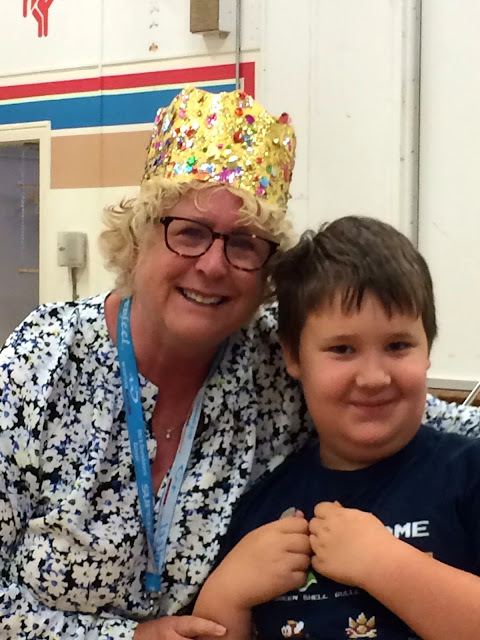 These two former students created a crown for me to wear at the year end assembly. For years, I had a Friday afternoon dance party in my classroom. At the year end assembly, the teachers and students threw a dance party for me. I truly was the 'Dancing Queen' wearing this crown. And this guy? I taught him in kindergarten. Over the years, he sought me out every single day to give me a hug and to tell me how much he loved and missed me. Joe and I hosted the year end staff party. Joe cranked out 40 pizzas for hungry staff members and their spouses. There are no other people I'd rather end my career with than these fine women. And there are no other children I'd rather end my career with than these smart, caring and funny students. When I came through my front door on the last day of school, Joe handed me a glass of champagne and a big bouquet of flowers while Alice Cooper belted out 'School's Out' on the stereo. It doesn't yet seem as if I've retired. It actually feels quite surreal. It feels like I'm just on my regular summer holidays. But I'm sure things will begin to feel real after the Labour Day weekend when everyone else goes back to school and work. Then I'll feel retired. My plans for the near future? I want to sit and stare out the window for a while. I want to catch up on my sleep. Teaching is an exhausting job. After I'm rested, I want to read and hike and garden and drink cocktails on my deck and eat delicious food and see my friends and nap and travel with Joe. A heartfelt thank you to the countless teachers, education assistants, principals, students and their families for making my career such a rewarding one.